Behaviour Interactive shared a video giving a tutorial for the upcoming asymmetrical shooter Deathgarden. The 5v1 multiplayer game pits one overpowered Hunter against five Runners who must work together to complete objectives while evading the Hunter. The tutorial that was shared goes into some more advanced Runner tips and tricks. In the video, Design Director Matt Jackson provides the commentary on how to stay alive as a Runner in Deathgarden. He begins by sharing some tips on evasion when caught in the sights of the Hunter. As the Runner can’t overpower the Hunter, and their survival is based on agility, awareness, and the use of the environment to provide cover. He stresses the importance of staying as low to the ground as possible and using the Hunter’s first-person perspective against them. Jackson also discusses the three Runner classes available that each has their own upgradable powered bolts and caltrops to hinder, harass, and debilitate the Hunter. The torment class specializes in debilitating effects and keeps the Hunter in check while the rest of the team completes objectives. 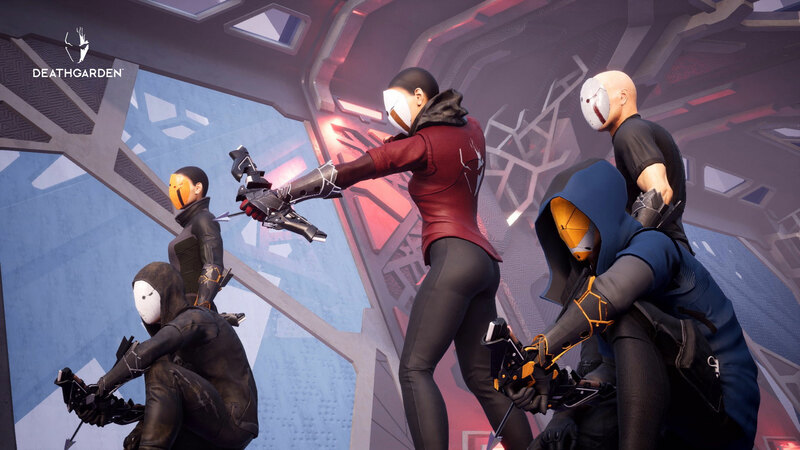 In comparison, the control class is best used to manipulate the Hunter’s actions and capturing objectives, and the support class provides various benefits to the Runner team. They do not have bolts that can impede the Hunter but can shield and heal their teammates. In addition, Jackson also shares the importance of communicating and cooperating as a team to outsmart the Hunter. Runners can communicate with their team to provide vital information when performing important actions or when they are near certain game objects. You can watch the entire tutorial below. Deathgarden will be available through Steam Early Access on Tuesday, August 14th for PC, and the game will be released on PS4 and Xbox One in early 2019.